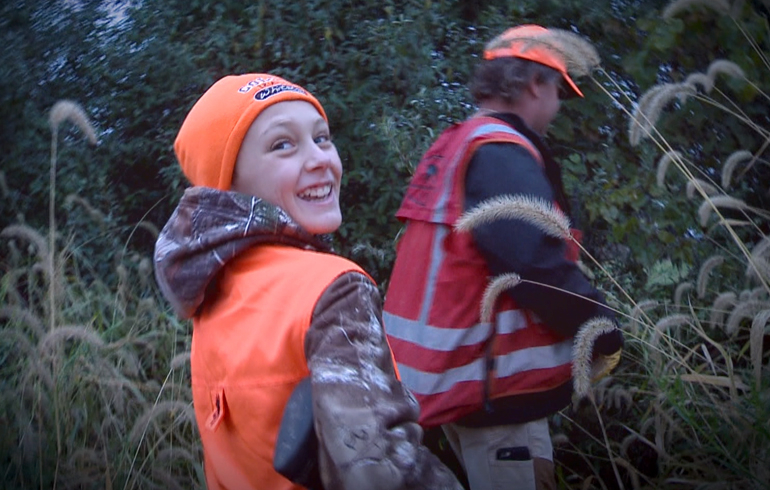 A recent topic I’ve heard many people discussing lately revolves around the age kids are allowed to start hunting. I grew up in central Minnesota and I had to wait until I was 12-years old to carry a gun in the field. This way they can see what they think before taking the classes and making the commitment. It also allows kids to get out in the field as the hunter before they are 12 I’m a firm believer the earlier you can get them hooked the higher the chance they become a hunter for life. This model has resulted in nearly 1.5 million apprentice hunting licenses sold since 2006 according to the U.S. Sportsmen’s alliance. In my opinion this is a great idea and here’s why. Luckily for me, I was willing to wait until my 12th birthday to begin hunting. However, I was hooked early on. For many kids, by the time they reach twelve they are already active in sports, dance, or a wide variety of other extra curricular actives that consume most of their time. Unfortunately, hunting gets left by the wayside and we may have missed out on the best opportunity to expose them to the outdoor lifestyle. I’ve also heard people say that it’s good to have the kids long for their 12th birthday and I would agree. It worked great for me, and I was more excited to turn 12 than any other age. However, this is not the case most of the time, and by making them wait you run the risk of loosing them. Kids are incredibly impressionable early on. I believe by sending them out with an experienced mentor, they will not only learn good hunting habits and values, but also understand a lot more about where their food comes from as well as the environment. 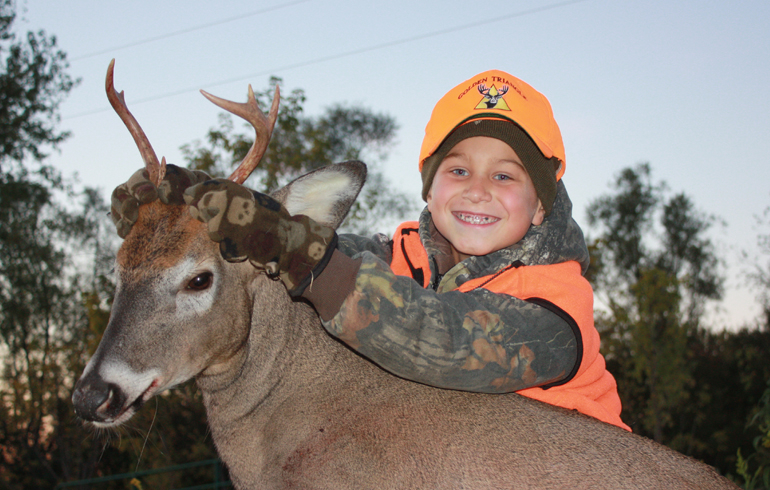 The best advocate we could possibly have is a kid going back to school and telling all their friends about their amazing hunting experience. It’s the most genuine and pure way to expose other kids to the outdoor lifestyle who may not have grown up with it, but after their buddies description they begin asking what it would take for them to join in as well. Now for the experienced mentor, there has to be strict rules and safety instructions given before heading out into the field. There was no joking around with guns or hunting in our family, and if you broke the rules once, you would have lost your privileges. Kids understand rules, but they also need to know that there is no room for error. This isn’t a 3 strikes and you’re out proposition. You follow the rules or you don’t participate. I strongly believe if you lay down rules, fill them with knowledge and let them have fun you can create lifelong hunters early on. 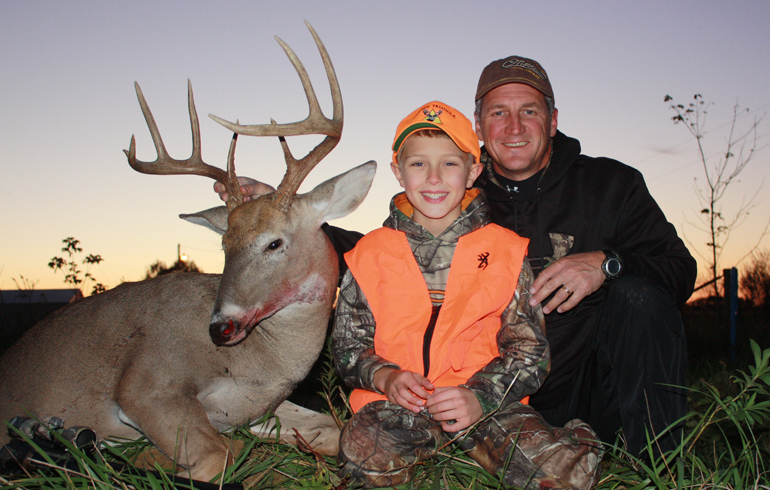 I am a strong supporter of getting kids into Hunter’s Education as soon as possible, but for those kids who are on the fence this is a way to get them hooked first before loosing them to other sports and activities.